[October 24 2015] We were lucky to have our friend Katie visiting from the US during our October fall break. 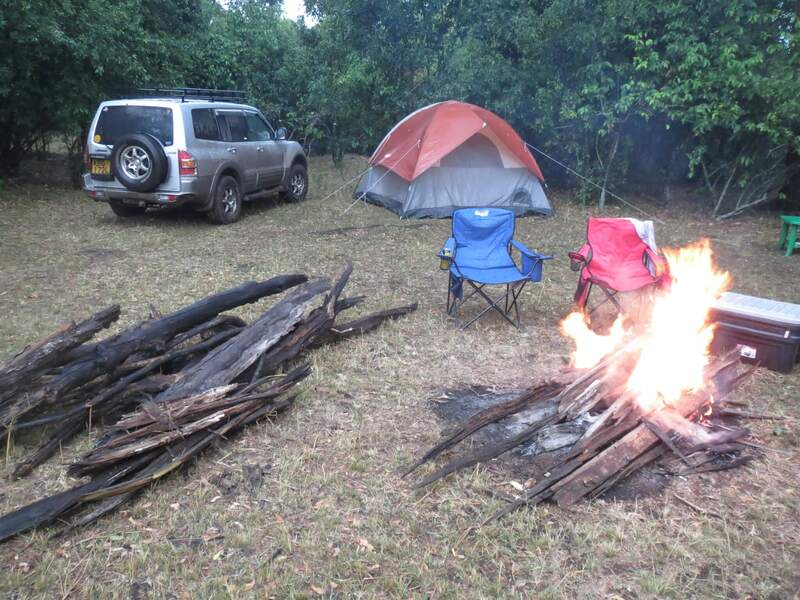 We returned to the Mara, this time stopping at our favorite nearby camping spot – Mt Suswa. 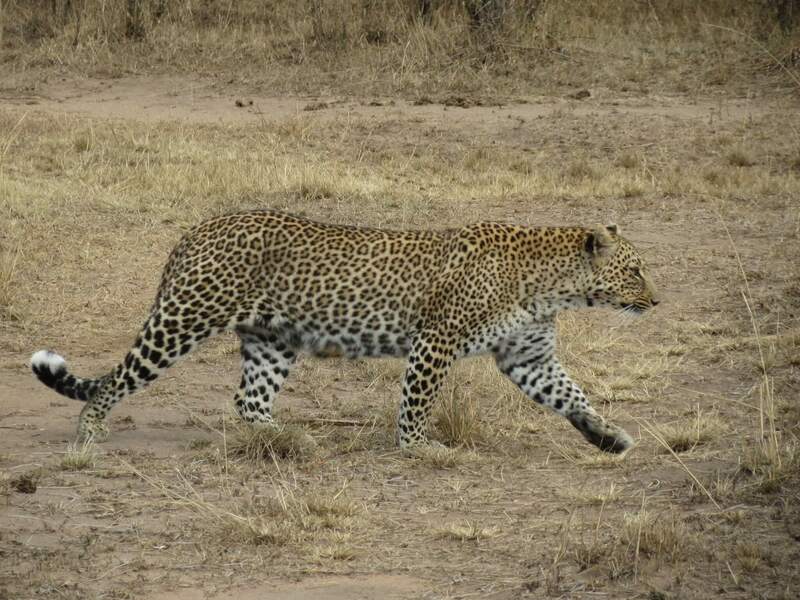 Click on an image to open it. Hiking to the summit of Mt Suswa. 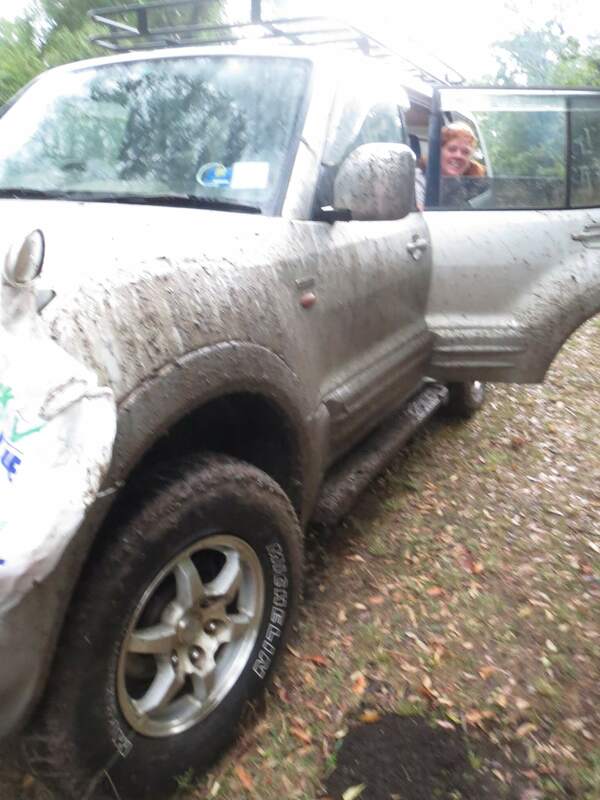 I got us lost on the way back – yikes! Finally made it back. 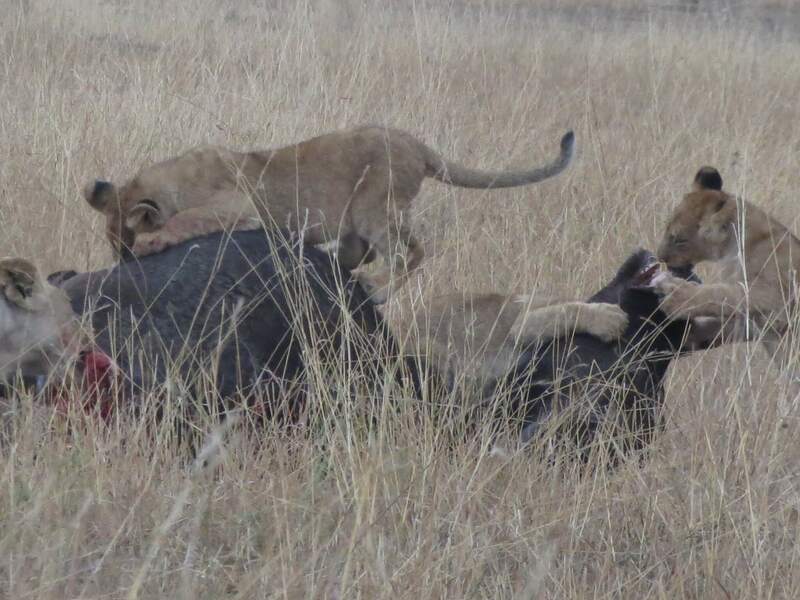 We saw a ridiculous amount of lions in the Mara. 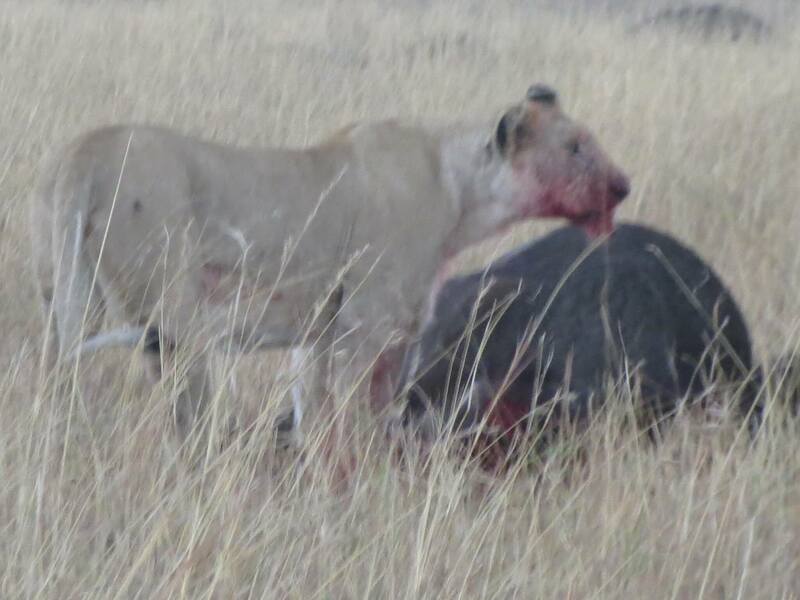 We saw this kill – the buffalo was literally being eaten alive. I almost threw up. 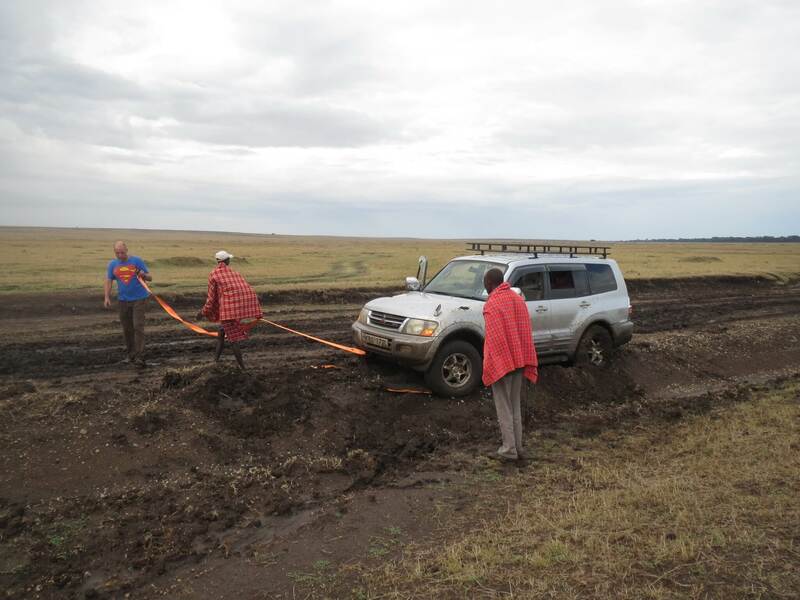 You are not having fun until you get bogged! One morning we saw about 30 Hyenas in one location, about 2kms from our campsite! 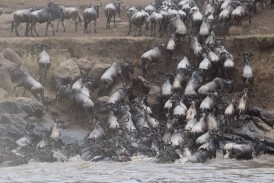 In late September Maciej and Mouse inspired us to make a weekend run to the Mara at the peak of migration. 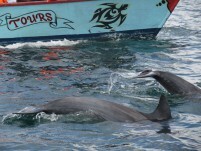 We had a great, if exhausting, trip! Click on a picture below to open up a slide show. 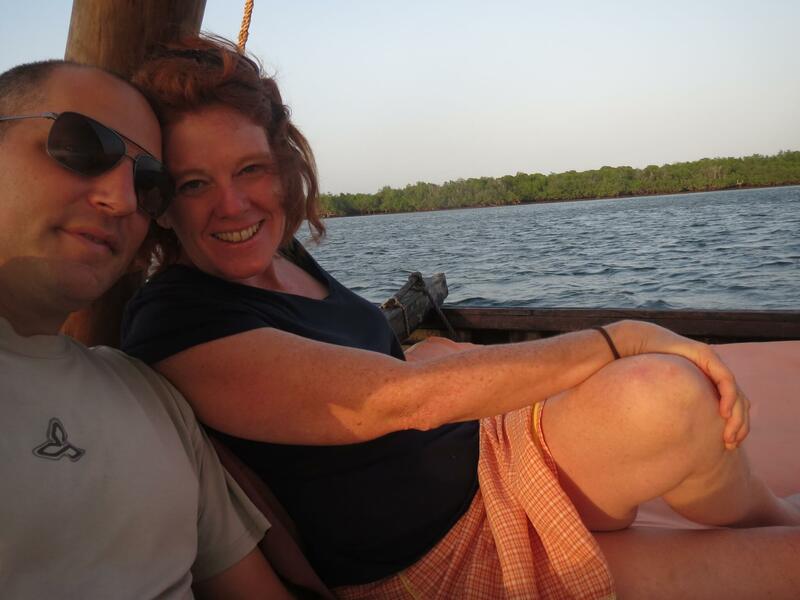 We kicked off the year with a flight to Lamu to celebrate our 20th anniversary. 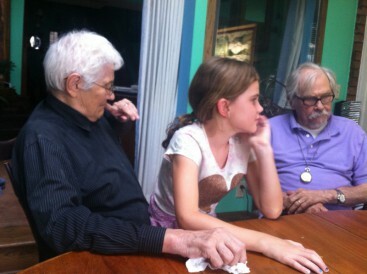 We left Zoë with friends. 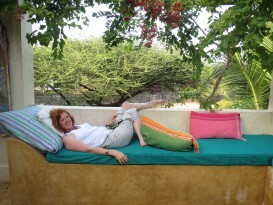 Lamu is a wonderful tropical paradise and was perfectfor our getaway. By sheer luck, we coincided with a special muslim festival, which was fun to watch. 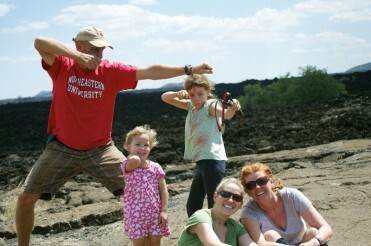 Trips in February brought me to the beach at Watamu to run with the H3, and Mombasa on the way back to Nairobi. 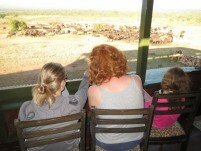 For Spring Break, we spent a week traveling up the Rift Valley, visiting Lake Nakuru, Lake Baringo and Lake Bagoria. Each lake is special in it’s own way. 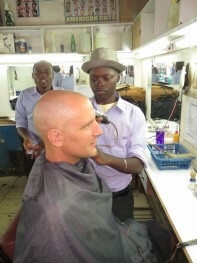 We finished the week with a couple days in Eldoret, where I ran the Rift Valley Marathon. 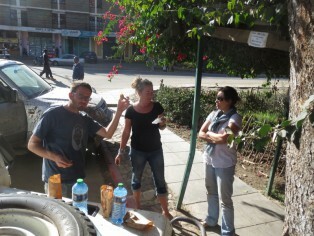 During the summer, we were very happy to have Chris and Liz visit us in Kenya. We did a fantastic 2 week driving safari around the southern parks and coast. 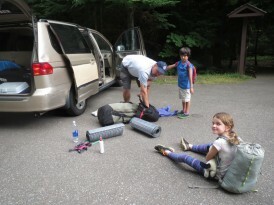 After they left, we spent five weeks in the US with my family. 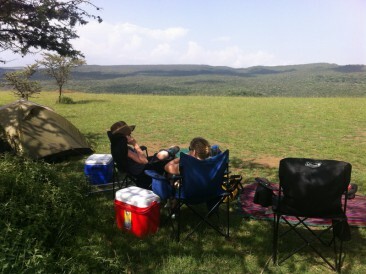 Our new favorite place to camp is Mt Suswa, right on the rim of a massive volcano in the middle of a Masai Conservancy. Chris and Liz hard at work preparing camping food. 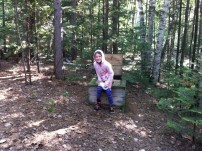 Robyn was thrilled with all the adaptive activities on offer in Madison. 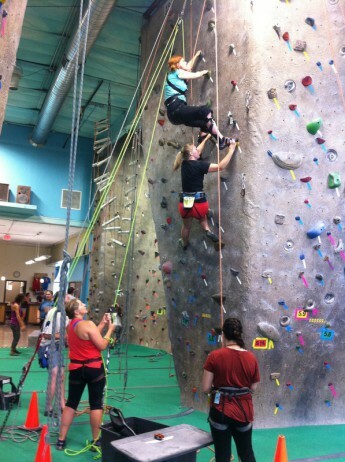 Adaptive rock climbing. We had fun at this gym, where Zoë did a bunch of climbing as well. Zoë and I went for a 2 day hike with Erik and Kiran on the ‘Hidden Lakes Trail’ in northern Wisconsin, which was a lot of fun. This toilet had an amazing view of two lakes. I love running with the H3 in Madison whenever I am in town. 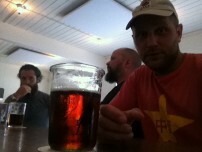 I did a three day IB workshop in Vancouver, where I made it my mission to bar hop through many of the cities microbreweries. People were very friendly and always engaged me in conversation and pointed me to the next place to visit. We enjoyed our 2nd 4th of July with Skye and Matt in Minneapolis – the Shmid’s were a bonus this year! 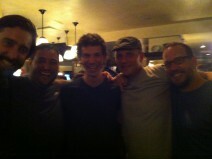 I was amazed to discover that my favorite online brew store was just 3 miles from Skye and Matt’s house. Zoë was very cute with Mom and Du. 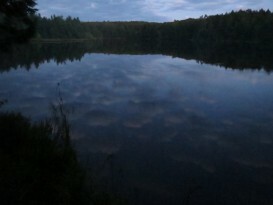 One of the hidden lakes. Getting going on our Hidden Lakes hike. 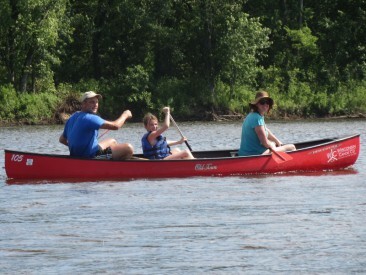 Canoeing the Wisconsin river is one of our new favorite things to do. 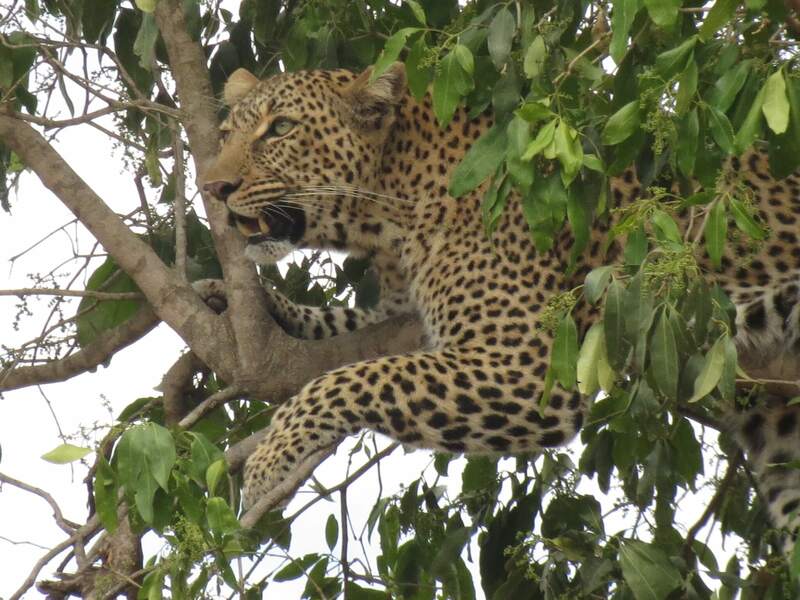 The elephants at this Tsavo campground were walking around our tents at night – I was terrified – they were literally eating out of the trees above our head. Tourists taking pictures of Mt Kilimanjaro! 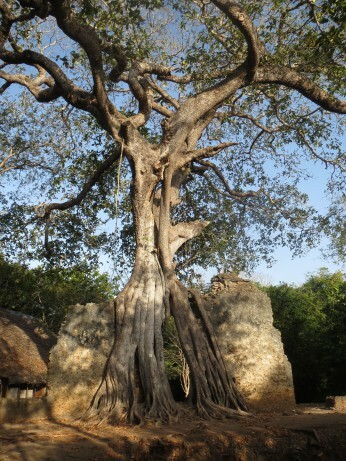 A toilet at the ruins of Gede on the Kenyan coast – similar to Angkor Wat with zero tourists. 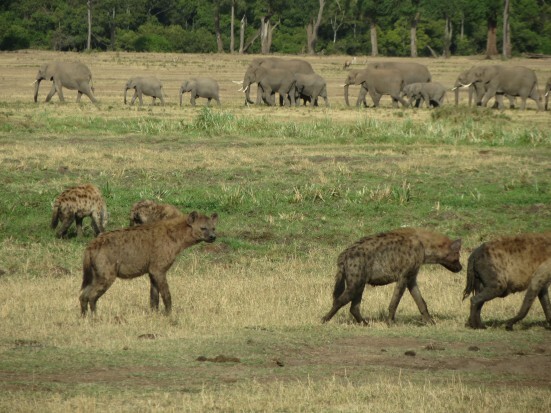 This KWS guest house in Tsavo West is our favorite – it has a watering hole just behind the house, which brings out all the animals. 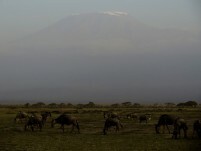 Mt Kilimanjaro view from Amboseli. 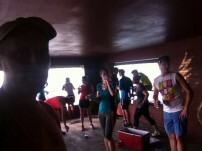 Liz and I did a 20km run in the country side with my running group. 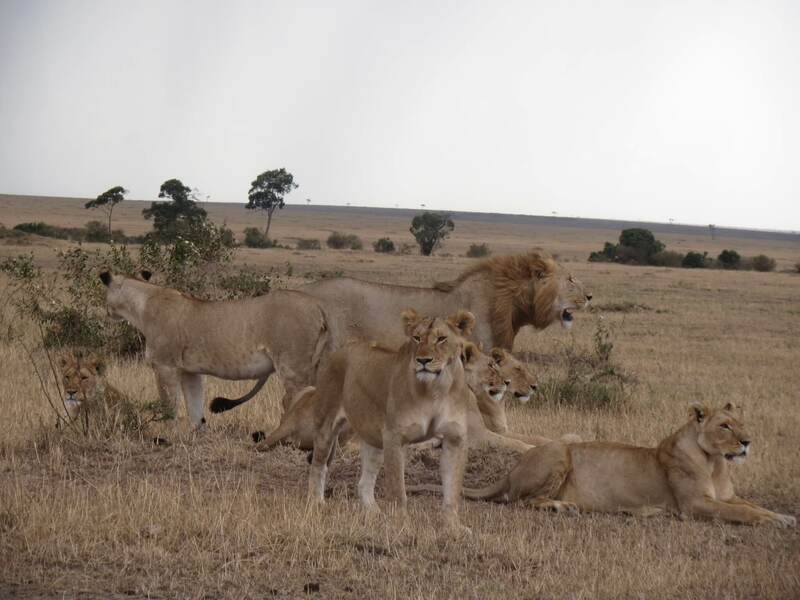 We spent a lot of time watching a big pride of lions in Tsavo East. 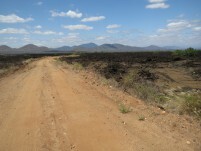 A rest break on the lava flows between Amboseli and Tsavo West. 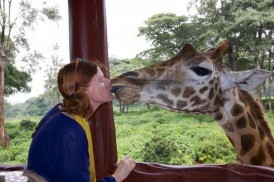 The giraffe center in Nairobi. We love our new on campus duplex. 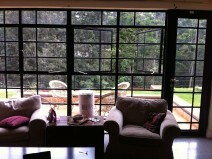 Tons of glass looking out on green! 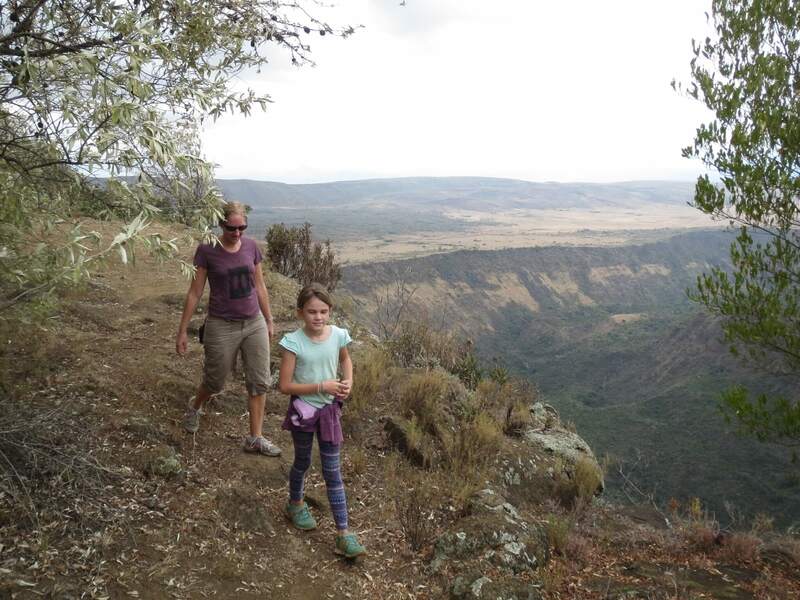 Hiking in Hells Gate National Park, 2 hours from Nairobi. A fun weekend at a workshop in Dubai, where I got to cross paths with friends from India. 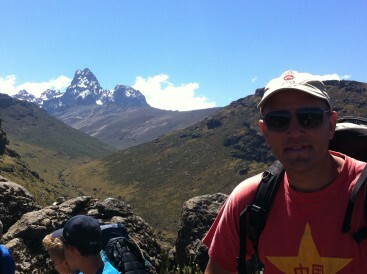 Hiking Mount Kenya with 40 9th graders- a great trip. 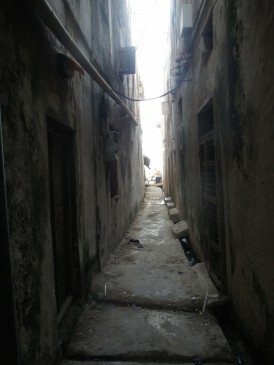 The oldest bar in Mombasa. 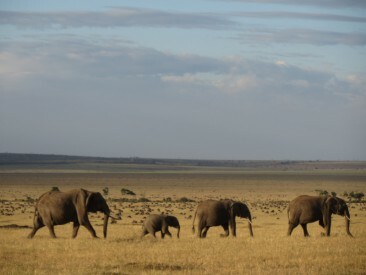 The signature elephant tusks of Mombasa. 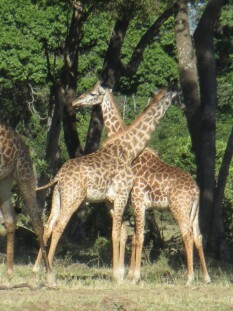 We love camping at Carnelley’s in Naivasha. Lots of grass, right on the lake, lots of shade and a great camp restaurant. 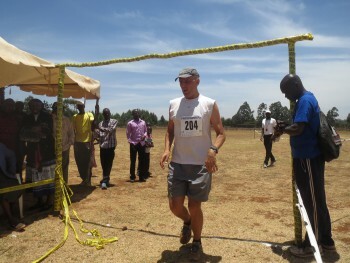 Finishing the Rift Valley marathon. Not sure what my exact time was, but it was about 4:01. These cheeky hornbills were the resident birds at Robert’s Camp in Lake Baringo. They spent hours looking at themselves in our car mirror! Birding on Lake Baringo -we saw tons of birds we had never seen. 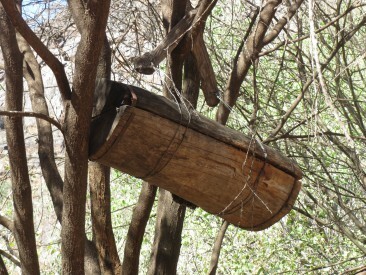 Tugen bee hives – all over the place in the northern Rift Valley. Flamingoes on the Rift Valley lakes. Hot water springs on Lake Bagoria. 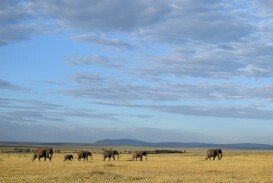 View point over Lake Naivasha. 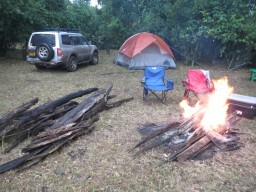 Camp Carnelley’s at Lake Naivasha in the early AM. 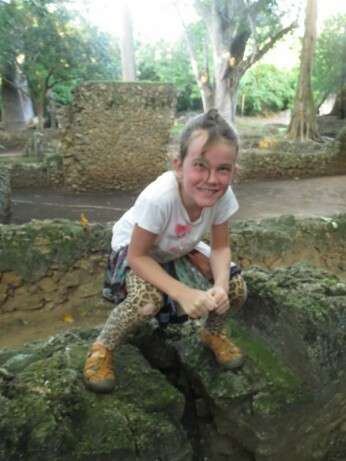 The magical ruins of Gede near Watamu. 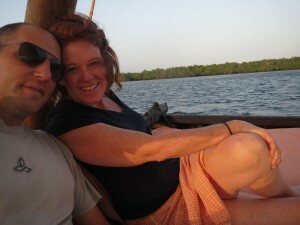 We spent our 20th anniversary in Lamu. It’s starting to look serious! 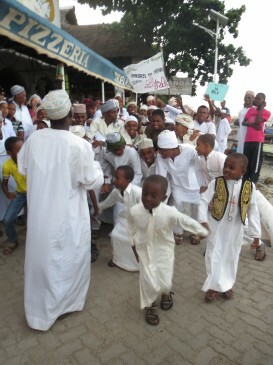 Dancing at the festival in Lamu. 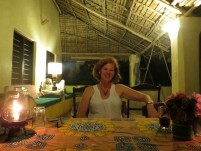 The Banana House in Lamu. 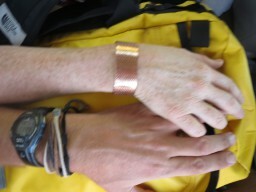 Setting off for our 20th anniversary in Lamu.